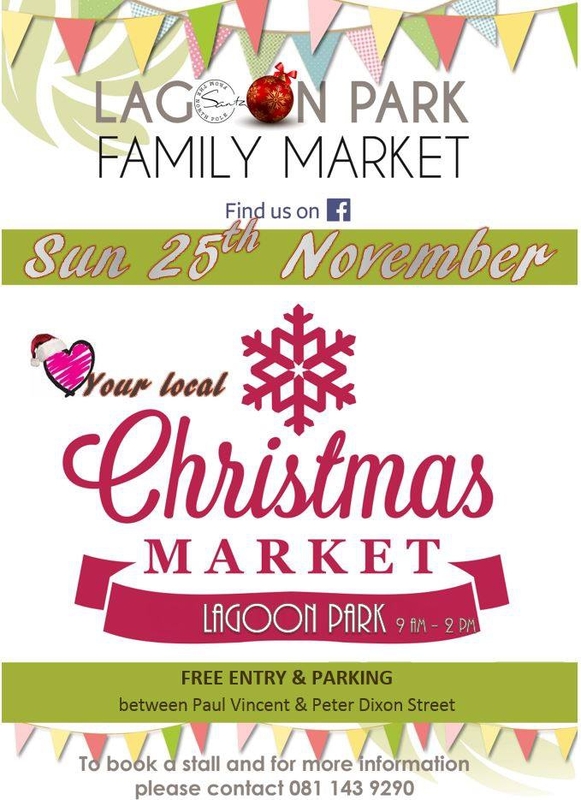 Please join us for our biggest market of the year namely our Christmas Market at the Lagoon Park! We have over 60 stalls confirmed and LOTS of entertainment for the kids too! Please support and buy your local Christmas gifts from our wonderful vendors from snack baskets to 'Adventkalendars' and from pancakes to sosaties - we have it all! Bring your whole family along and a picnic blanket and enjoy Christmas tunes bringing us into the festive spirit!